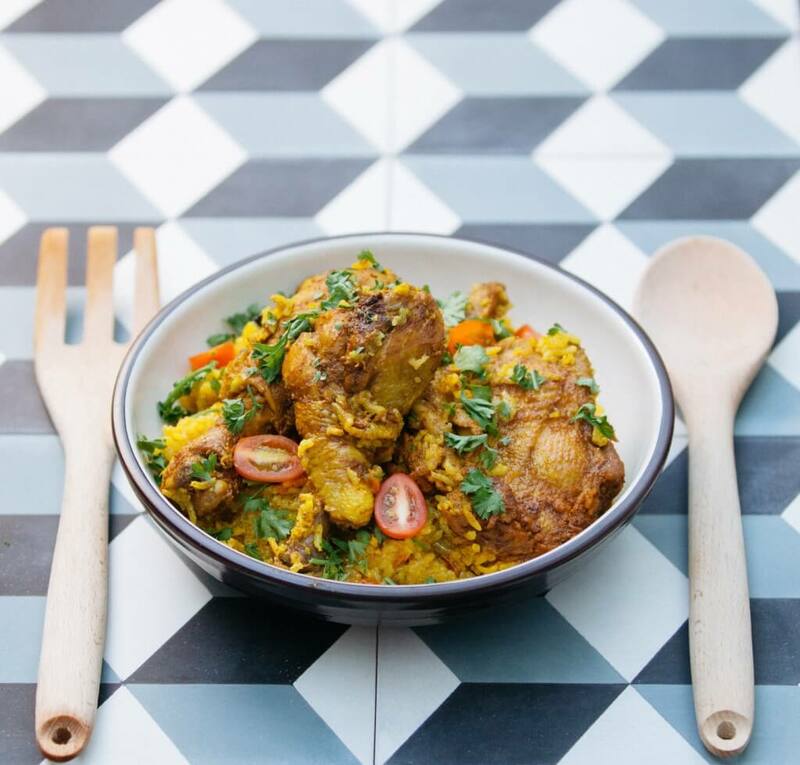 Galinhada is Portuguese for dish made from chicken, and this traditional Brazilian dish promises a meal of comfort and colour. Serve with love and pride! 1.Season the chicken, skin on, with turmeric, 2 tbsp salt, pepper, vinegar and let it marinate overnight. 2.In a hot pan, add the olive oil, then the chicken, with skin on the bottom of the pan. Fry until the skin is crispy. Remove the chicken. 3.In the same pan, add the onion, then garlic, and sauté till fragrant. Add the tomatoes, tomato paste, 2 tbsp salt and rice. Mix well. 4.Pour the rice mix into the rice cooker and add the crispy chicken on top. Pour chicken stock in and ensure that it covers content completely. Cook according to rice cooker’s settings. 5.Serve with parsley as garnish.